Something I’m really looking forward to in the shipment (did I happen to mention that I miss my stuff?) is my good set of knives. 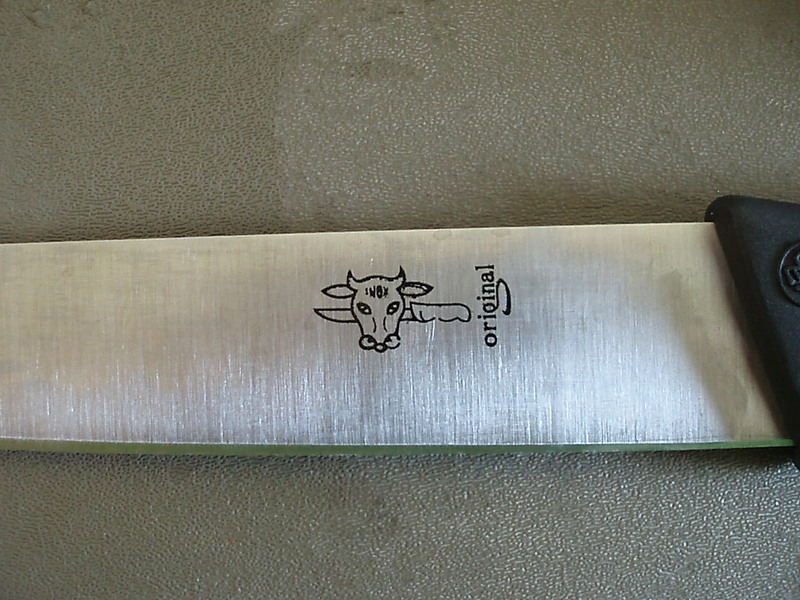 The two big steel machetes that came with the apartment are not really ideal for cooking, and after two months of use, they are also pretty dull. And I’m not about to buy a sharpener when there’s one coming in the shipment. The housekeeper brought a small knife from her own home to use for cooking. 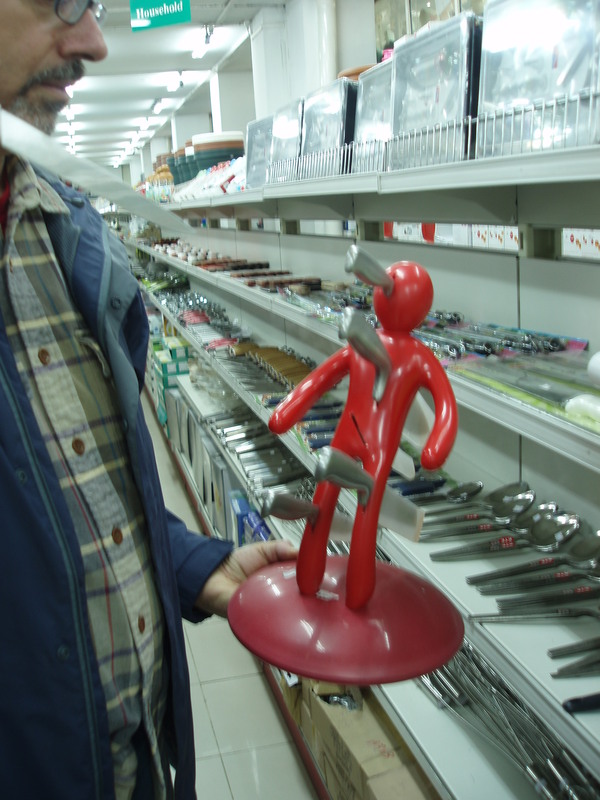 But we dropped by the knife section at the supermarket anyway, just to check it out. Somehow we managed to resist purchasing this knife set. Consumer goods here are generally pretty basic and straightforward. What were they thinking? Magic show gone awry? Voodoo doll? Horror film? This entry was posted in Ethiopia, Home life. Bookmark the permalink. wow, that’s . . . kinda creepy!